On 31 January 2011, the last day of the British transfer window saw a flurry of activity that resulted in two records being broken for the sales of strikers Fernando Torres and Andy Carroll. The transfer domino was started by Chelsea, who bought Spanish striker Fernando Torres (center) from Liverpool. Torres, who joined Liverpool in 2007, had scored 65 goals in 102 league appearances for the Merseysiders. His performance drew the attention of defending league champions Chelsea, who made a bid of £35M which Liverpool rejected, even though Torres had submitted a transfer request. But faced with an impending release clause due to be triggered in the summer, they eventually accepted Chelsea's second bid, reported to be approximately £40M--a record amount paid by a British club. In order to fill the void left by the departure of Torres, Liverpool acted quickly to sign strikers Andy Carroll (right) from Newcastle for £35M and Luis Suárez (left) from Ajax for £22.7M, to reach a grand total of £94.7 spent on the three players. Carroll's fee was the highest ever paid for a British player. But although Torres and Carroll set the records, Suárez turned out to be the best purchase of the trio, going on to star for Liverpool while the other two struggled at their clubs. On 30 January 2008, Samuel Eto'o scored twice in Cameroon's win over Sudan in the African Cup of Nations. In the process, he became the tournament's all-time leading scorer. The striker had just recovered from a lengthy injury the previous month, but took little time to recover his form, scoring both of Cameroon's goals (including one penalty) in their tournament-opening loss to Egypt on 22 January, then converting another penalty in their 5-1 win over Zambia four days later. That was his fourteenth career goal in the competition, bringing him level with Côte d'Ivoire's Laurent Pokou for the top-scorer honor. 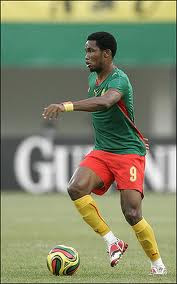 Cameroon returned to the pitch on 30 January for their last group-stage match against Sudan. A crowd of approximately 10,000 watched as Eto'o took sole possession of the scoring title with a 27th-minute penalty that put Cameroon up 1-0. An own goal by Sudan in the 33rd minute extended the lead to 2-0, then Eto'o added another for good measure in the 90th minute to push the all-time record to sixteen and end the day as a 3-0 win. Unfortunately for Eto'o, it was his last goal in that year's tournament as Cameroon fell to Egypt in the final. But he returned in 2010 and scored twice more to set the current record of eighteen. 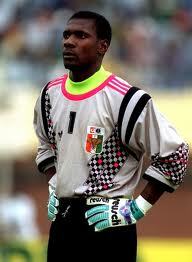 He was denied the opportunity to extend it even further in 2012, as Cameroon did not qualify for that year's edition. On 29 January 2011, Japan won their fourth Asian Cup, beating Australia with an extra-time goal from substitute striker Tadanari Lee. It was only the second Asian Cup for Australia, who previously played in the Oceania Football Confederation. In 2006, they switched to the Asian confederation in the hope that the stronger competition there would improve their World Cup fortunes by improving their team. They took their first crack at the Asian Cup in 2007, but fell to Japan on penalties in the first knockout round. Japan, meanwhile, were old hands in the competition, winning it in 1992, 2000, and 2004. They played the final before a crowd of 37,174 at the Khalifa International Stadium in the Qatari capital of Doha. Although it featured two of the tournament's top scorers in Australia's Harry Kewell and Japan's Ryoichi Maeda, goals proved difficult to find. At the end of regulation, the match remained stuck in a scoreless draw. In the first period of extra time, Japan manager Alberto Zaccheroni subbed Lee in for Maeda. Lee had made only one other appearance in the tournament, coming on for Maeda in the 46th minute of Japan's opening match against Jordan, and had not scored a goal. But he rewarded Zaccheroni's faith by scoring from a cross in the 109th minute. Japan held on for the remainder of the match to claim the cup. On 28 January 1967, Second Division Berwick Rangers delivered one of the greatest upsets in Scottish football by knocking Glasgow's Rangers out of the Scottish Cup. At the time, Rangers were the defending Scottish Cup champions and were sitting in second place, while Berwick, playing under manager Jock Wallace, were in tenth place of Division Two. Rangers had won all three of the teams' previous meetings by comfortable margins of 3-1 (twice) and 4-0. Still, a club record crowd of 13,365 turned out at Berwick's Shielfield Park and were rewarded with an unlikely result. The visitors dominated the early going and earned an overwhelming ten corner kicks by the 30-minute mark due to their attacking play. 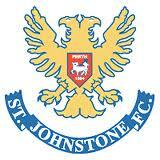 But Berwick claimed the advantage just two minutes later, with inside forward Sammie Reid scoring off the post. 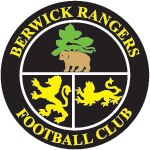 Not content to sit on their lead, Berwick exchanged attacks with Rangers for the remainder of the match and nearly extended the margin with a handful of close chances. Rangers, for their part, scrambled forward in desperation but could not find the equalizer they needed and fell, 1-0. It was a humbling loss for the Glasgow giants, marking their first defeat to a Second Division side and their first opening round elimination from the Scottish Cup in thirty years. Unfortuately for Berwick, they failed to capitalize on the win, losing to Hibernian in the next round. In 1970, Wallace moved to Glasgow as an assistant coach for Rangers, then took over as their top man from 1972 to 1978, winning three Scottish Cups in the process, then again from 1983 to 1986. On 27 January 1976, South Korean World Cup hero Ahn Jung-Hwan was born in Paju. He was once described as "the man who ruined Italian football." He started his professional career in 1998 with Pusan Daewoo Royals, but moved to Italy in 2000 to play for Perugia, where he made a total of 33 appearances in two seasons and scored five goals. But it was the summer of 2002 that made him an international name, as he scored the golden goal for South Korea that eliminated Italy in the World Cup Round of 16. The day after the match, Perugia owner Luciano Gaucci cancelled Ahn's contract, reportedly saying "I have no intention of paying a salary to someone who has ruined Italian football." Gaucci later had a change of heart, but Ahn was so offended by the slight that he refused to consider a return. He moved instead to Shimizu S-Pulse for a season, starting a series of short stays that included spells at Yokohama (2004-05), Metz (2005-06), and Duisburg (2006), before returning to South Korea with Suwon Bluewings in 2006. Most recently, he played for Chinese side Dalian Shide from 2009 to 2011. In the meantime, he continued to play for the South Korean national team, scoring 17 goals in 77 appearances before retiring in 2010. On 26 January 1992, every player on the pitch at the end of extra time in the African Cup of Nations Final got to take a penalty kick as Côte d'Ivoire beat Ghana, 0-0 (11-10). Ghana entered the tournaments as favorites, based on the presence of their star midfielder and captain Abedi Pele, the reigning African Player of the Year. He was the team's high scorer through the earlier rounds and provided the match winner against Zambia in the group stage, but was suspended for the final after picking up a second yellow card against Nigeria in the semifinals. Meanwhile, Côte d'Ivoire advanced to the final on the back of their outstanding defense, having not conceded a single goal in the tournament. On offense, the team was well-balanced, with each of their goals scored by a different player. In the final, the day's best chance fell to Ghana, as striker Tony Yeboah chipped the ball over keeper Alain Gouaméné (pictured) and into the path of Ghana midfielder Prince Polley Opoku, but Opoku sent his shot over the bar. The match remained scoreless through extra time, setting up the penalty shootout. There, the balls flowed into the goal until Ghana's Isaac Asare missed his shot, but Côte d'Ivoire's Joël Tiéhi did the same with the next attempt. The teams went through twelve kickers each, with the last shot taken by Ghana defender Anthony Beffoe. He drove the ball into the waiting hands of Gouaméné to end the match at 0-0 (11-10). On 25 January 2010, Paraguayan striker Salvador Cabañas was shot in the head during a confrontation at a bar near Mexico City. Miraculously, he survived the shooting and continues to play football. At the time, the 2007 South American Footballer of the Year was in his fourth season with Club América and had gotten off to a strong start, with 18 goals in 24 matches. He was enjoying a night out with friends and family at the Bar Bar nightclub when, at approximately 5:00 am, he was shot by José Balderas Garza, later identified as a Mexican drug lord. According to some witnesses, including Cabañas's wife, the assault began as a robbery, while others claimed the two men had been involved in a heated exchange of words. He was rushed to the hospital and remained in intensive care until early February, with doctors saying his survival had defied overwhelming odds. His career, however, appeared to be over. Then, in late 2011, he appeared in a testimonial match held in his honor between América and the Paraguayan national team. He later signed a contract with his former club 12 de Octubre and another with Tanabe Esporte Club, but did not play in an official match for either team. In 2014, after a brief retirement, he joined Independiente FC of Pedro Juan Caballero, where he made four appearances. 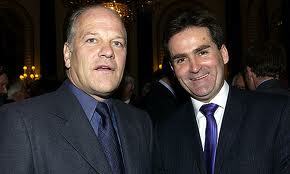 On 24 January 2011, Sky Sports suspended commentators Andy Gray and Richard Keys for making sexist remarks. Although the suspension was originally announced as indefinite, it proved to be permanent, as their contracts were terminated soon afterward. The pair had provided commentary for Sky Sports since the start of the first Premier League season in 1992. On 22 January 2011, they were covering a match between Wolves and Liverpool that included a female assistant referee, Sian Massey. When they believed their microphones were turned off, they discussed their belief that women "don't know the offside rule." Keys went further, anticipating a mistake by Massey (she did not make one, as her only offside call was correct). Keys then criticized a recent column written by West Ham vice-chair Karren Brady, saying "The game's gone mad. See charming Karren Brady this morning complaining about sexism? Yeah. Do me a favour, love." After the recording leaked, their comments drew widespread condemnation. The pair were scheduled for the Chelsea-Bolton match on 24 January, but before kick-off Sky Sports announced their suspension, saying the comments were "totally inappropriate" and "inexcusable from anyone at Sky Sports." One day later, the network ended their relationship with Gray, citing a separate incident from the previous December. Keys, meanwhile, resigned on 26 January after the release of previous comments of his own. The two have since moved on and now provide commentary and analysis for TalkSport and Al Jazeera. On 23 January 1939, 35-year old Austrian star forward Matthias Sindelar was found dead, along with his girlfriend, Camilla Castagnola, at her Vienna apartment. Although the official records attribute their deaths to accidental carbon monoxide poisoning, rumors persist of murder and suicide. Nicknamed "the Paper Man" due to his height and slim build, Sindelar spent his entire professional career with FK Austria Vienna, joining them in 1924. 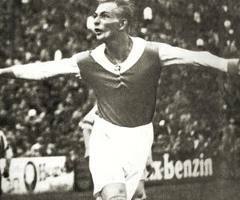 He debuted for the Austrian national team in September 1926, scoring a goal in a 2-1 win over Czechoslovakia. He soon became an integral member of the Wunderteam, winning the 1932 Central European International Cup, taking silver in the 1936 Summer Olympics, and finishing fourth at the 1934 World Cup. In all, Sindelar made 43 official appearances for Austria, scoring 27 goals. Following Austria's annexation by Germany in 1938, Sindelar declined to play for the new unified team despite repeated requests by German manager Sepp Herberger. Although he cited age as the basis for his refusal, others took it as a sign of protest against the Nazi regime. Thus, when he was found dead a few months later, conspiracy theories ran rampant. Some suggested that he committed suicide in order to avoid Nazi persecution, while others suggested that he and Castagnola had been murdered by the Nazis for harboring Jewish sympathies. While one the two chimneys in Castagnola's apartment was known to be defective, making carbon monoxide poisoning the most likely explanation for their deaths, one of Sindelar's friends gave a 2005 interview suggesting otherwise. In 2005, a BBC documentary crew spoke with Egon Ulbrich, a longtime friend of Sindelar's, who claimed that a Vienna official had been bribed to record the deaths as accidental. According to Ulbrich, Nazi rules prevented state funerals for victims or murder or suicide, so the declaration of Sindelar's death as accidental ensured that he could be buried with full honors. On 22 January 1994, the full slate of six Scottish top flight matches resulted in a point for everyone as all six matches ended in draws. The day featured match-ups at both ends of the table, as league leaders Rangers were held to a scoreless draw at second-place Aberdeen, while bottom club Dundee held off second-bottom Raith Rovers, 2-2. Elsewhere, Celtic and Dundee United played to another scoreless draw, as did Partick Thistle and Motherwell, while Hearts battled Kilmarnock to a 1-1 draw at Tynecastle. The day's most surprising result came at St. Johnstone, where the tenth-place side survived their encounter with third-place Hibernian, 2-2. It was part of a seven-match unbeaten streak for the hosts, but it proved to be a brief respite--three teams were relegated at the end of the season to clear the path for a ten-team top flight the following season, and St. Johnstone were the last to go, joining Raith Rovers and Dundee. Rangers went on to win the league, while Dundee United lifted the Scottish Cup and Hibs took the Scottish League Cup. 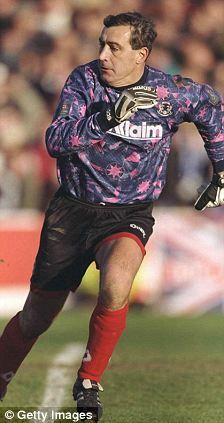 On 21 January 1997, goalkeeper Peter Shilton played in his last match, setting the current League record of 1,005 appearances. Shilton, who set the England cap record at 125 seven years earlier, started his club career in 1966 with Leicester City, where he soon ousted England's World Cup-winning keeper Gordon Banks. He went on to make 286 appearances for Leicester before leaving for Stoke City in 1974. There, he added another 110 appearances to his total, then moved on to Nottingham Forest (202), Southampton (188), and Derby County (175). By the time he left Derby in 1992, his career was in decline, but he made another 34 appearances in three seasons for Plymouth Argyle. Between 1994 and 1996, he spent brief periods with Wimbledon, Bolton Wanderers, West Ham, and Coventry, but played in only a single League match for the lot of them. In 1996, he joined Leyton Orient, where he made his last nine appearances. The final one was a Division Three contest at home against Wigan, but it wasn't a storybook ending for the 47-year old Shilton. The hosts took a first half lead with a goal from Scott McGleish (33'), but surrendered late strikes to Ian Kilford (62') and Graeme Jones (77') to lose 1-2. On 20 January 2010, Monaco secured an away victory at PSG despite not having a single shot on goal. Playing before a crowd of 36,000 at the Parc des Princes, Paris Saint-Germain were suffering through a poor run of form that dropped them down into tenth place in the table after losing two of their last three in the league. They had also just been eliminated from the Coupe de la Ligue by Ligue 2 side Guingamp. Monaco, meanwhile, had climbed to fifth after going unbeaten in their previous five league matches. Still, PSG started as the stronger of the two teams on the day and had several early chances denied by the woodwork and a handful of fine saves from Monaco keeper Stephane Ruffier. Ruffier continued his excellent play in the second half to again deny a couple of PSG shots when disaster struck for the hosts. Monaco midfielder Eduardo Costa sent an innocuous cross into the box only to see it deflect into the goal off the leg of PSG keeper Apoula Edel. It turned out to be the only goal of he match. By the final whistle, Monaco had managed to take 10 shots, but not a single one on goal. PSG, on the other hand, put nine of their 19 shots on frame, but all nine failed to get past Ruffier. But they got their revenge later that May, beating Monaco 1-0 in the Coupe de France Final. On 19 January 2008, a penalty kick against Sweden made Landon Donovan the all-time scoring leader for the US men's team. Since making his first appearance in 2000, the forward/midfielder had already become the team's all-time leader in assists, passing Cobi Jones for that honor in 2006. By January 2008, he had scored a total of 34 goals, including key strikes in the 2002 World Cup and several Gold Cup competitions, to match the record set by Eric Wynalda from 1990 to 2000. Playing a friendly against Sweden at the Home Depot Center in California, the US went up 1-0 with a 15th-minute goal from debutant Eddie Robinson. Then, just after the break, Swedish center back Mattias Bjärsmyr committed a foul in the box against US forward Jozy Altidore. Donovan stepped up and converted the ensuing penalty kick to claim sole possession of the goalscoring record. The US went on to win the match 2-0. Before his retirement in 2014, Donovan extended the record to 57. It remains well behind the record for the women's team, however, set at 184 by Abby Wambach (2001-2015). 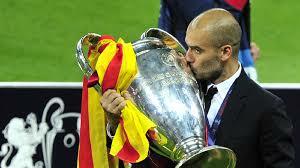 On 18 January 1971, former Barcelona player and manager Pep Guardiola was born in the Catalonian town of Santpedor. Guardiola first joined Barcelona in 1983 as a 12-year old member of their famed La Masia youth academy. He signed a professional contract with the club in 1990 and, later that year, then-manager Johan Cruyff called him up to the first team. Playing a central role as a defensive midfielder, Guardiola proceeded to collect a number of honors, including six league titles between 1991 and 1999 and the 1992 European Cup. In 2001, the 30-year old left Spain and spent time playing for Brescia (2001-02, 2003), Roma (2002-03), Al-Ahli (2003-05), and Dorados (2005-06). Upon his retirement in 2006, he took a year off, then returned to Barcelona in 2007 as manager of the club's B team. After only one season, the club promoted him to manager of the first team, replacing the departing Frank Rijkaard. On 17 January 2009, Oman won their first Gulf Cup of Nations, beating Saudi Arabia on penalties. It was the third consecutive appearance in the final for Oman, who lost to Qatar on penalties in 2004 and to the United Arab Emirates in 2007. Omani keeper Ali Al Habsi starred in both of those tournaments, however, and received two Best Goalkeeper awards to go along with the one he won in 2003 when Oman finished fourth. Al Habsi continued to shine in 2009 as Oman kept a clean sheet all the way up to the final. There, they met Saudi Arabia, who--playing in front of keeper Waleed Abdullah--had similarly not given up a goal for the entire tournament. Although Oman controlled the run of play for most of the final, the defenses proved too resolute as the teams completed 120 minutes with a scoreless draw to set up the decisive shootout. After five kicks each, the teams were level at 5-5. Then Saudi Arabian midfielder Taisir Al Jassim sent his shot wide. The miss opened the door for Oman's Mohamad Rabih, who calmly beat Abdullah to claim the cup. For his part in the victorious campaign, Al Habsi won his fourth straight Best Goalkeeper award. 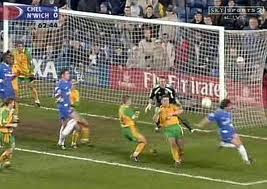 On 16 January 2002, Gianfranco Zola scored a remarkable back-heeled goal as Chelsea rolled over Norwich City in the FA Cup, 4-0. 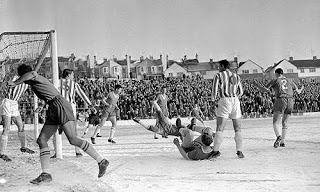 The Third Round match was a replay, with the two sides having drawn 0-0 at Norwich's Carrow Road ground 11 days earlier. Back at Stamford Bridge, the hosts wasted little time, taking the lead in the 11th minute with a header from Mario Stanić. Norwich tried to rally with a strong push around both sides of halftime, but Chelsea weathered the challenge, then extended their lead with a goal from Frank Lampard (56'). Zola's moment of brilliance arrived in the 63rd minute, as he met a corner from teammate Graeme Le Saux. As the ball dropped outside the near post, the 35-year old striker met it in midair with his right foot and back-heeled it behind his body. It skimmed just inside the post past the outstretched arms of Norwich keeper Rob Green. Chelsea manager Claudio Ranieri later described the goal as "fantasy" and "magic," while referring to Zola as a "wizard." Zola himself said "Don't ask me how I did it, because I don't know." Chelsea proceeded to win the match 4-0 with the last goal coming from Mikael Forssell (89') and eventually reached the FA Cup Final where they lost to Arsenal. 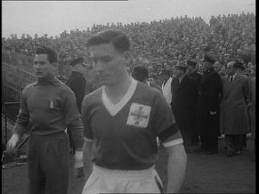 On 15 January 1958, Northern Ireland qualified for their first World Cup by beating Italy 2-1 in Belfast and eliminating the two-time champions from the tournament. It was the last match day for the three-team qualification group. Italy started the day at the top of the group on four points, having beaten Northern Ireland in Italy and split their home-and-away series with Portugal. The two other teams were level on three points each, with Portugal having completed all of their matches. The Italians' visit to Belfast had been scheduled for the previous December, but the referee assigned to the match--Hungarian István Zsolt--failed to arrive on time. With both teams present, they went ahead and played the match as a friendly, resulting in a 2-2 draw. Zsolt made it to Windsor Park in time for the rematch on 15 January and the hosts jumped to a 2-0 first-half lead with goals from Burnley midfielder Jimmy McIlroy (13') and Leeds United captain Wilbur Cush (28'). Italy got a second-half goal from AS Roma striker Dino da Costa (56') in his only national team appearance, but they couldn't find another and the match ended as a Northern Ireland win. That summer's tournament remains the only World Cup for which Italy failed to qualify. Northern Ireland did well with the opportunity, advancing to the quarterfinals before falling to eventual third-place finisher France, 4-0. On 14 January 1971, goalkeeper Antonios Nikopolidas was born in the Greek city of Arta. He went on to help the national team to glory in Euro 2004 while becoming their top appearances leader at his position. He began his professional career in 1987 with his local club, Anagennisi Arta, but spent the majority of his career with Panathinaikos (1989-2004) and Olympiacos (2004-2011), winning a combined 11 league titles and nine Greek Cups. But in the summer before he moved to Olympiacos, he manned the posts for Greece during their memorable run at Euro 2004. They opened the tournament with a 2-1 win over hosts Portugal, then slumped to a 1-1 draw with Spain and a 2-1 loss to Russia. Still, it was enough to finish second in the group and advance to the knockout round, where Greece captured the trophy with three straight shutouts over France (1-0), the Czech Republic (1-0, aet), and--in the final--Portugal (1-0). For his performance, Nikopolidis was named to the UEFA Team of the Tournament. Nikopolidis went on to captain the national team and amassed a total of 90 caps before his retirement from international football in 2008, enough to rank him sixth on their all-time appearances list and first among goalkeepers. On 13 January 1988, the United States beat Guatemala with a goal from left back Jeff Agoos, making only his second national team appearance. The teams met in Guatemala City, where the United States had lost all four of their previous matches. The most recent loss had come just three days earlier when the hosts won 1-0. That match marked the international debut for Agoos (pictured), a star in the making at the University of Virginia. His performance on that day was unremarkable, however, and he was substituted for fellow dubutant John Diffley. US manager Lothar Osiander included both Agoos and Diffley in the starting line-up for the rematch on 13 January, with Agoos providing the day's only goal to give the US a narrow victory in the friendly. And it turned out to be a very rare occurrence. Agoos went on to earn a total of 134 caps for the US--enough to place him third on their all-time appearances list--but he scored only three more times for them. On 12 January 1980, a portion of Middlesbrough's Ayresome Park collapsed, killing two people. It was the start of a terrible trend in football for the coming decade. Boro season-ticket holders Irene and Norman Roxby were exiting the ground (pictured) by the South East corner after a 1-1 draw with Manchester United when a brick pillar crumbled, bringing two gates down with it. The Roxbys were crushed by the debris. Some witnesses to the event blamed it on a group of visiting Manchester United supporters, saying they rushed the gates after the match, triggering the collapse. In their defense, however, the United supporters claimed that the rush was sparked by efforts to get away from an over-excited police horse. Subsequent reports revealed that Middlesborough's safety certificates for the stadium had not been kept up-to-date, though the club claimed that any violation was merely technical and that all safety requirements were either met or exceeded at the time of the incident. The deaths of the Roxbys were soon dwarfed by larger football-related disasters, including massive losses of life at Moscow's Lenin Stadium in 1982, Bradford City's Valley Parade ground in 1985, Belgium's Heysel Stadium in 1985, and Hillsborough in 1989. The Taylor Report followed the latter in August 1989, recommending the elimination of standing areas in favor of all-seater grounds. 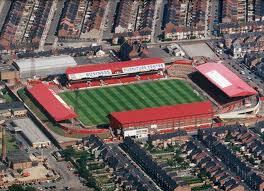 That requirement ultimately doomed Ayresome Park, which made way in 1995 for Middlesbrough's new Riverside Stadium. On 11 January 2009, Guadalajara and Pachuca secured their spots in the Copa Libertadores after two own goals and a combined 36 penalty attempts in two shootouts. They were two of the four semifinalists in Mexico's InterLiga competition, with Guadalajara matched up against Morelia and Pachuca paired with Atlas. The winners of the two matches then joined 2008 Apertura winners San Luis in the qualification stage of the Copa Libertadores. Guadalajara fell behind to Morelia after conceding an own goal from striker Carlos Ochoa in the 57th minute, but midfielder Marco Fabián drew them level eight minutes later. Morelia then went down to 10 men after a second yellow for defender Fernando Salazar, but Guadalajara could not take advantage before time expired. 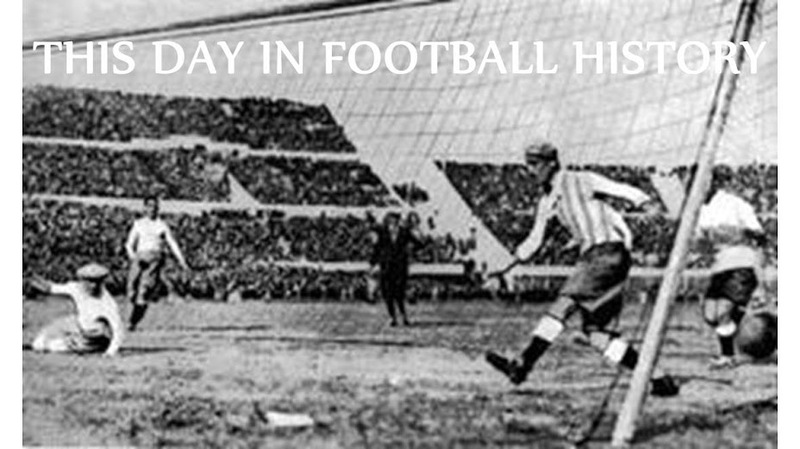 They won the shootout 4-2, though, as Morelia's first attempt went wide and Guadalajara keeper Luis Ernesto Michel saved their last attempt. In the day's other match, Pachuca raced to a 3-0 lead in the first half, but found themselves level after conceding three--including one own goal--in the second half. Atlas striker Jorge Achucarro scored the 88th-minute equalizer, but he did not fare as well in the ensuing shootout, as his first attempt was saved by Pachuca keeper Miguel Calero (pictured). With the shootout level at 7-7 after ten kicks each, the shooters started to cycle through again. And, again, Calero saved Achucarro's shot to win the match. 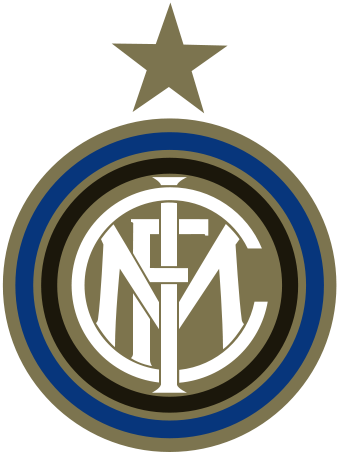 On 10 January 1915, Inter recorded their largest margin of victory, beating Vicenza 16-0. The meeting came in the semifinal group of the Northern Italian championship, with both Inter and Vicenza having won their qualification groups in impressive fashion--Vicenza won eight of their ten qualification group matches and Inter won nine of theirs (while compiling an astounding goal differential of +52). Those results sent the teams into the same semifinal group, where Inter steamrolled Vicenza in Milan. Their 16-0 scoreline remains a club record. Vicenza did better in the return fixture, holding Inter to a scoreless draw, but Inter still managed to top the group and advance to the Northern Italy final group, where they finished third behind Genoa and Torino. The quarterfinal meeting paired the Premier League's third- and fourth-place teams, with hosts Liverpool sitting one point higher than Arsenal. But the Gunners were confident having beaten Liverpool 1-3 at Anfield in the FA Cup the previous week (they had also won 3-0 in the league back in November). It was a day to remember for Arsenal striker Julio Baptista, who--after several years of rumors linking him to the club--had finally joined the Londoners at the start of the season on loan from Real Madrid. Despite his reputation as a prolific scorer, he started the day with only one goal to his Arsenal account. That changed in the 40th minute. After a pair of early goals from Arsenal's Jérémie Aliadière and Liverpool's Robbie Fowler, Baptista broke the deadlock with a 25-yard free kick. Then, after Alex Song put Arsenal ahead 3-1 with what appeared to be a handball off a corner kick in the 45th minute, Baptista quickly struck again before the break, delivering the ball to Aliadière on the wing then receiving it back to tap into an open net. He had a chance for a hat-trick early in the second half when Aliadière earned a penalty, but Liverpool keeper Jerzy Dudek parried Baptista's shot. He eventually completed his hat-trick in the 60th minute and added a fourth in the 84th minute, while Liverpool got goals from Steven Gerrard (68') and Sami Hyypia (80') to finish the day at 3-6. Arsenal went on to reach the final, where they lost to Chelsea, while both Baptista and Aliadière moved away from Arsenal at the end of the season. 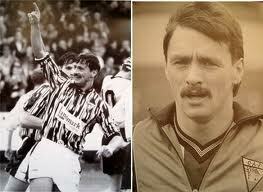 On 8 January 1996, Dunfermline Athletic defender Norman "Norrie" McCathie died of carbon monoxide poisoning. He was 34 years old. He joined Dunfermline from Cowdenbeath in August 1981 and went on to make a club record 576 appearances, including 497 league appearances. Although they were relegated to the third tier in 1983, they secured back-to-back promotions in 1986 and 1987 and spent four of the next five seasons in the top flight. In 1991, a McCathie penalty kick in the League Cup semifinals against Airdrie won him the right to captain the side in the final, but they lost to Hibernian, 2-0. Known as much for his exuberance off the pitch as for his tenacity on it, McCathie--who was a part owner of two local pubs--was a favorite among Dumfernline supporters, many of whom considered him to be the living personification of the club. But in 1996, two days after he played in a loss to St. Mirren, friends of McCathie's became alarmed when he missed training. They went to his home and found his body, along with the body of his girlfriend, 26-year old Amanda Burns, both dead from carbon monoxide poisoning. Dunfermline, who by then were back in the second tier, went on to win promotion that year, playing in McCathie's memory. And in 1998, the club named a stand in his honor. On 7 January 1991, Chelsea midfielder Eden Hazard was born in La Louvière, Belgium. The son of two footballing parents, Hazard joined Lille in 2005 as a 14-year old youth player, then signed a professional contract with them in 2007. He made his first appearance for the first team that November in a friendly. An attacking midfielder/winger, he secured a spot in the senior team for the 2008-09 season and became the youngest goalscorer in club history when he netted the equalizer in Lille's 3-2 league win over Auxerre on 20 September. He went on to contribute six goals and three assists in 35 appearances that season, a performance that won him the Ligue 1 Young Player of the Year award. He won the award for a second time after the 2009-10 season with 10 goals and nine assists in 52 appearances. Hazard continued to improve in 2010-11, scoring 12 goals and providing 10 assists as Lille won their first league title in over 50 years. And they won it comfortably, eight points clear of second-place finishers Marseille. It was part of a double, as Lille also won the Coupe de France that year. For his role, Hazard was named the Ligue 1 Player of the Year and was included in the league's Team of the Year. He repeated as Player of the Year in 2012. 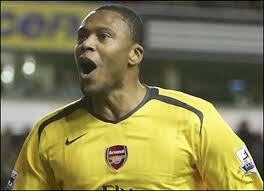 In 2012, he moved to Chelsea for a transfer fee of £32 million. There, he continued his impressive run of form, culminating in the 2014-15 season where he scored 19 goals across all competitions and led the club to the league title. He accumulated several individual accolades, including Premier League Player of the Season and the FWA Footballer of the Year. Aftter a slump in 2015-16, he is back on form as Chelsea currently top the table. On 6 January 1953, longtime Hamburg player Manfred Kaltz was born in the West German city of Ludwigshafen. Despite being a full back, he was a prolific goalscorer, including knocking a few home for the other team. He joined up with Hamburg's youth team in 1970, then signed a professional contract in 1971. He remained there for thirteen seasons, making 568 league appearances. 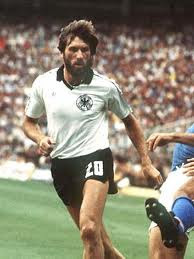 Along the way, he won domestic and European honors including one Bundesliga title (1979), one German Cup (1976), and the Cup Winners' Cup (1977). Kaltz was active in the Hamburg attack, known in particular for his arcing right-footed crosses called "bananenflanken" ("banana crosses"). He also was a regular scorer--usually from the penalty spot--providing 76 goals. Unfortunately for Hamburg, however, he also set a Bundesliga record for own goals with six. In 1989, he left Hamburg for a short spell in France with Bordeaux and FC Mulhouse, but returned in 1990 to play one last season with Hamburg before retiring in 1991. In all, he made a total of 581 league appearances, which places him second on the Bundesliga's all-time list behind Frankfurt's Karl-Heinz Körbel (602). Britain's coldest winter since 1740 delivered a combination of snow and ice, sending the country into what commentators called "the Big Freeze." Consequently, all of the FA Cup matches scheduled for that Saturday were postponed except for three--two in the North West (Sunderland's 1-4 win at Preston North End and Tranmere Rovers' 2-2 draw with Chelsea) and one in the South West (West Brom's 1-5 win at Plymouth). Some matches were played a few days later while others suffered repeated postponements. Birmingham City's contest against Bury included a replay, one match that had to be abandoned, and a total of 14 postponements before Bury claimed a 2-0 victory on 7 March. In all, there were 261 postponements over the course of three weeks. On 4 January 2005, Tottenham were denied three points when a Pedro Mendes goal against Manchester United wasn't given, despite the ball being a full meter over the line. The match ended as a scoreless draw. The two teams met at Old Trafford with Spurs having won six of their previous seven to rise from 15th in the league to 7th. United were on a similar streak, holding down 3rd place after winning eight of the last nine matches. The hosts controlled most of the match, enjoying the better of possession and taking a handful of decent shots, but were repeatedly denied by Spurs keeper Paul Robinson. Spurs had a few chances of their own, but the day's most memorable moment came in the 89th minute. Mendes, seeing United keeper Roy Carroll off his line, fired a shot from near the midfield line. Carroll raced back and appeared to catch the ball easily, but dropped it. It bounced into the goal, crossing well over the line, as Carroll scrambled to knock it away. Unfortuately for the visitors, neither referee Mark Clattenburg nor linesman Ray Lewis saw the ball clear the line, so neither awarded the goal and the match ended 0-0. Ultimately, it had little impact on either club, as United finished in 3rd separated by several points on both sides and Spurs ended up in 9th, though the extra two points would have pushed them up to 8th. Labels: Manchester United F.C., Mark Clattenburg, Paul Robinson, Pedro Mendes, Ray Lewis, Roy Carroll, Tottenham Hotspur F.C. 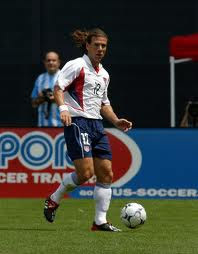 On 3 January 2003, the Chicago Fire traded team captain Piotr Nowak to New England, but he retired about a month later before suiting up for his new club. The Polish international midfielder joined Chicago in 1998 after a four-year tenure with 1860 Munich that saw him named Poland's Player of the Year (1996) and the Bundesliga's best playmaker (1995-96). He made an immediate impact with the fledgling MLS side, who named him the team MVP in his first season as they won the MLS Cup and the US Open Cup. 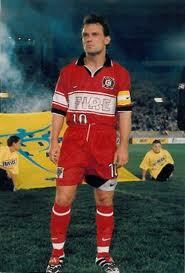 More successes followed, including another US Open Cup in 2000, as Nowak collected two more MVP awards in 2000 and 2001. By the end of the 2002 season, he set the club's current all-time assist record at 48. But salary cap considerations led Chicago to trade their then-38-year old captain to New England for the 2003 season. Later that year, Chicago made him the first inductee in their "Ring of Fire," honoring past players. Just over one month after the trade announcement, Nowak chose to retire rather than continue his playing career in New England. He wasn't done with football altogether, however, as he took over as manager of DC United in 2004, winning that season's MLS Cup. He left DC in 2006 to work with the US national team and, in 2009, became the first head coach for the Philadelphia Union. He later took charge of Antigua and Barbuda and is currently the manager of Polish club Lechia Gdańsk. On 2 January 1965, Arsenal forward John Radford became the club's youngest player to score a hat-trick when he put three past Wolves just under two months short of his 18th birthday. 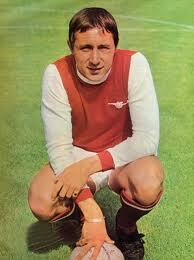 Radford came up through the Arsenal youth system, joining them in 1962 at the age of 15. Two years later, he signed a professional contract, then made his first-team debut that March. It was his only appearance of the 1963-64 season, but he featured more the following season, leading up to his record-breaking performance against Wolves at the age of 17 years and 315 days. He was a key component of the club's Double-winning 1970-71 season, scoring 21 league goals as Arsenal claimed the title and providing the assists for both goals in their 2-1 win over Liverpool in that season's FA Cup final. He also helped them win the 1969-70 Inter-Cities Fairs Cup. Radford remained with Arsenal until 1976, having scored 149 goals--enough to take second place on the club's all-time scorer list at the time, behind Cliff Bastin (178), though they have since been overtaken by Ian Wright (185) and Thierry Henry (226). Labels: Arsenal F.C., John Radford, Wolverhampton Wanderers F.C. On 1 January 1990, Andreas Thom became the first East German Oberliga player to sign freely for a West German club. It was an early step in the reunification process that resulted in a consolidated Germany. When Germany divided after World War II, a group of West German clubs re-established the pre-war German football association, the DFB. Meanwhile, East Germany established its own association, the DDR-Oberliga. Barring the occasional meeting between the East and West German national teams in international competition, the two were kept largely separate until November 1989, when growing support for reunification led both associations to allow unrestricted competition across the two leagues. 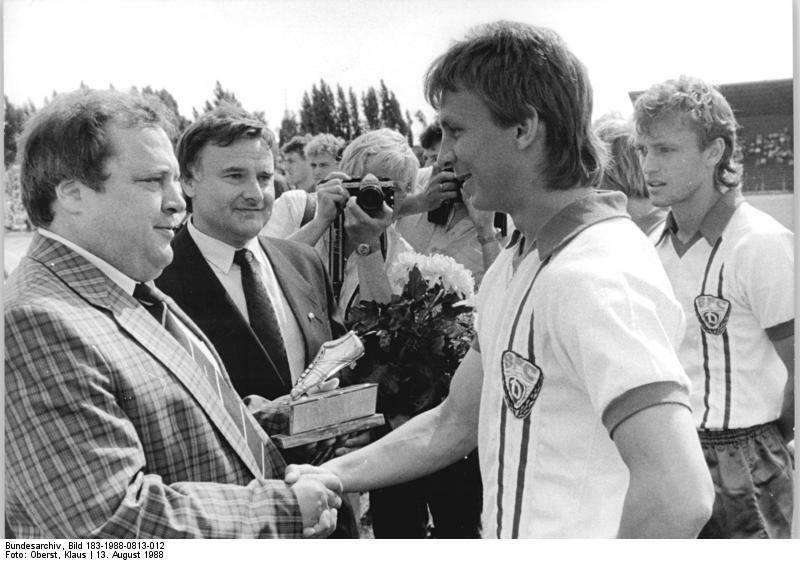 Thom had been a key player for East Berlin club BFC Dynamo since joining them in 1983. In 1984, he won the first of five consecutive league titles with the club, to which they also added two East German Cups (1988, 1989). A forward, he was the DDR-Oberliga's top scorer for the 1987-88 season and was named the 1988 East German Footballer of the Year. 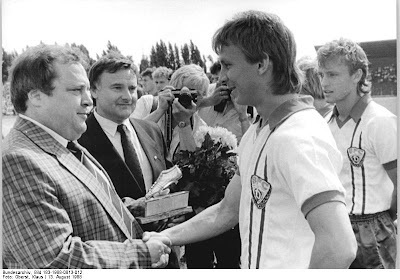 Toward the end of 1989, he received permission from the DDR-Oberliga to move across the border, the first East German player to do so (though there had been defections, including three footballers from the East German national team earlier that year) . He struck a deal with Bayer Leverkusen and, on 1 January 1990, joined them for a fee of 3.6 million German marks. He enjoyed a lengthy career with Leverkusen, making 161 appearances between 1990 and 1995, when he moved to Celtic for £2.2 million. He returned to Germany in 1998, signing for Hertha Berlin, and retired in 2001.